The effects of climate change have arrived, and to the best of our knowledge, they’re here to stay. The past 3 years have been the hottest on record, with climate models pointing toward a at least a 0.5℃ increase in the global average by 2100. This past summer, for example, certain parts of the world experienced unprecedented bouts of extreme weather, causing significant losses of life and property. In British Columbia, more than 500 wildfires burned at once, sending massive plumes of arboreal smog over Vancouver and Seattle. In India, Kerala state experienced the worst flooding in a century, forcing 800,000 from their homes and killing hundreds more. 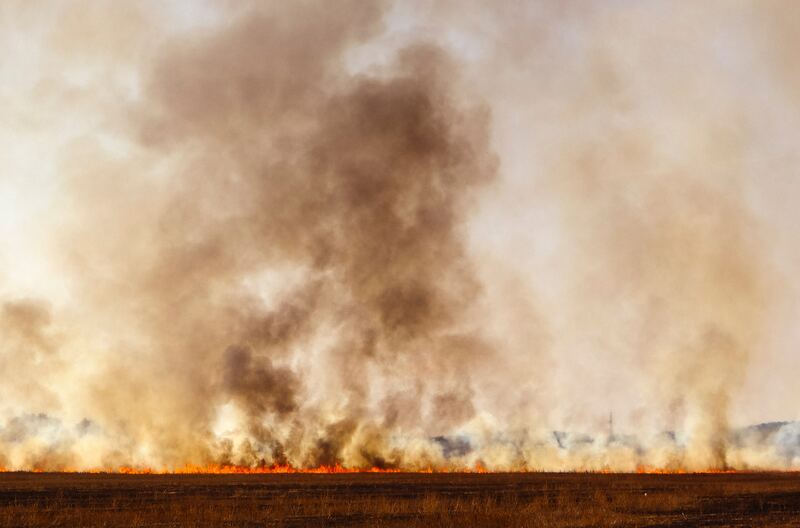 Drought has sparked significant wildfires in Sweden and California, and just a year ago Hurricane Maria left Puerto Rico teetering on the verge of a humanitarian crisis after it touched down on the Caribbean island. It is now widely recognized that the key challenge of our era will be to mitigate and overcome the inevitable effects that climate change will produce in the coming decades. Drought, rising sea levels, extreme climate events, and mass destabilization of previously self-sustaining ecosystems are a few of the expected symptoms of our excess carbon emissions. In the coming years, we will see more and more headlines regarding the human toll of intensified natural disasters. In some particularly vulnerable regions such as East Africa, climate change has begun to manifest itself as an insidious perpetuator of already prolonged droughts – threatening crop yields and the livelihoods of those they nourish. Unsurprisingly, the effects of climate change have a disproportionate effect on those who find themselves in already disadvantaged socio-economic positions. Recent incidents are a stark testament to the accuracy of these facts. Flooded road in Kottarakkara, in the Kerala state of India. Photo by Luke Appleby, via Flickr Creative Commons. The gradual destruction of those environmental controls exacerbated the destruction to the exposed populations surrounding urban centres. Moreover, the frailty and and mismanagement of public infrastructure led to the destruction of thousands of houses as well as a 30% decrease in the installed energy supply in the days following the floods. 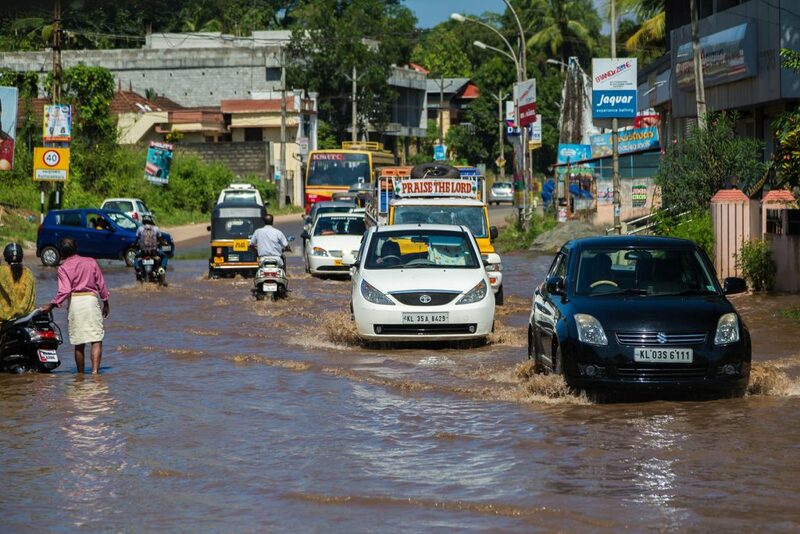 Those poor rural groups in Kerala were significantly more exposed to the destruction of abnormal flooding experienced by the region. The susceptibility to the adverse effects of climate change is further exacerbated for those living in poverty. Last year in Somalia – a country which already faces systemic issues relating to development and security – two years of severe drought culminated in half the population facing acute food insecurity. 1 million individuals who were reliant on agriculture and livestock for their livelihoods, were displaced as a result. Somali cities and neighbouring states were subsequently faced with an influx of individuals fleeing their inhospitable environments. 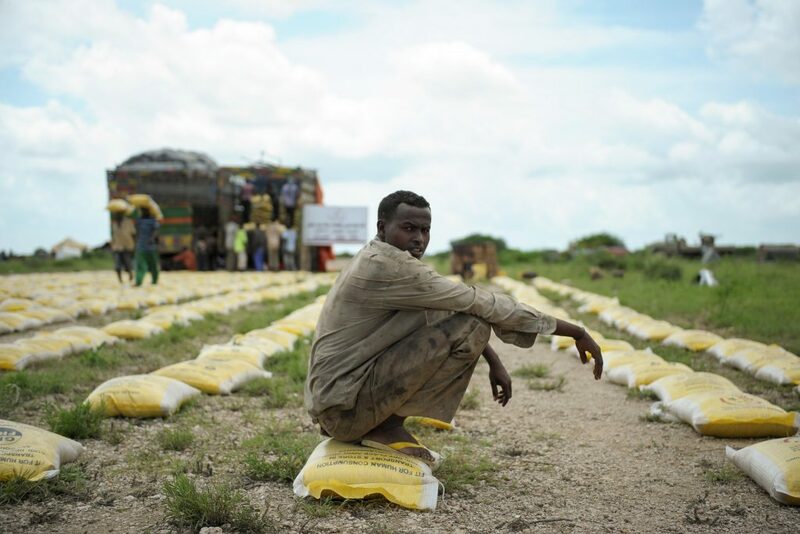 A Somalian man displaced by heavy rains and flooding receives food aid in Jowhar, Somalia. Photo by Tobin Jones for UN Photo, via Flickr Creative Commons. Somalia is one of the bleakest examples of the profound effects changes in weather patterns can have on the livelihoods of those most exposed, and its case is just a taste of what we will likely see more of in the future. The UN forecasts that there will be 200 million climate migrants (those who forced to flee from their homes as a result of an environment that has become unsuitable for living) by 2050. Even the world’s largest wars did not spur an exodus of this size. In September last year, Puerto Rico was devastated when Hurricane Maria touched down on its Caribbean shores leaving the entire island without electricity for the days following the disaster. Only recently has power been restored fully to the island. The toll of Maria, the 6th largest land fallen hurricane in American history, was immense. 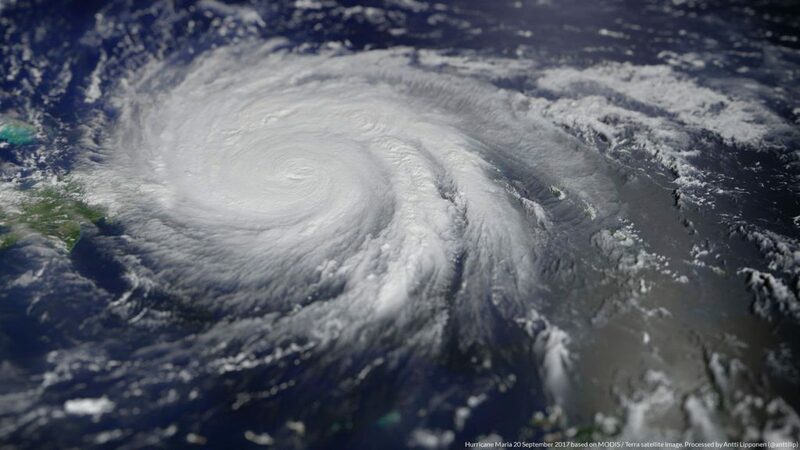 A recent study notes that more than 4,500 people died as a result of the hurricane. A significant portion of these deaths came from a lack of access to necessary medical services in the wake of the hurricane, which in turn was a result of the slow reaction time to Puerto Rico’s obliterated transmission infrastructure. For months on end, some parts of the island remained disconnected to the national grid, cutting off essential services and forcing people to consume contaminated water in some cases. The island’s local government was left on its own – forced to provide the necessary services for swift rehabilitation – despite falling under the jurisdiction of the richest economy on earth. Satellite image of Hurricane Maria. Photo by Antti Lipponen, via Flickr Creative Commons. Puerto Rico’s crippling financial climate in the lead up to Maria undoubtedly affected its ability to respond swiftly to the effects of the disaster. Instead, the response of the governing bodies to the estimated in $90B in damages was inaction. A recent study has pointed to this feeble response as playing a role in the substantial loss of life following the storm. Puerto Rico’s ability to cope and recover from the natural disaster it faced was limited by the pre-existing economic conditions it faced. A region where already 40% of inhabitants lived under the poverty line was thrown into deeper malaise purely by virtue of the circumstance it found itself in. We’ve designed an economy which has put our planet in great peril. The productive activities we engage in have disturbed natural climate cycles which have existed for millennia, killed off entire species, and spurred positive feedback loops which make the prospect of recovery even more difficult. Simultaneously, this economy has led unprecedented levels of wealth for society. It seems too that we’ve mismanaged our approach as to how this wealth is distributed; where 8 individuals have accumulated as much wealth as as the poorest 3.8 billion individuals. The good news is that there is likely a way both issues can be addressed with the same mechanism. Analysis has shown that investment in green energy and infrastructure – particularly in urban areas – have various positive effects on the socially disadvantaged populations. While sustainably designed projects will inevitably create a more sustainably designed society, they will also fight poverty and inequality in the long run. To defeat climate change, we must put a human face on the problems it poses. After all, we are the only ones responsible for the bleak position we find ourselves. We are also the only ones who can do something to get ourselves out.